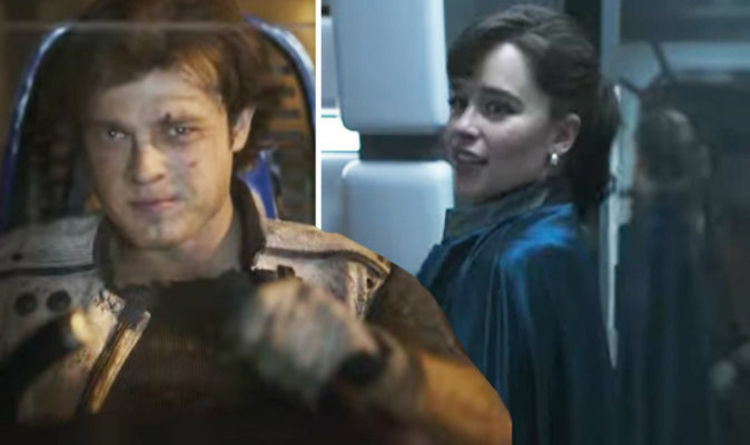 The end of the film was surprisingly open-ended, with Qi’Ra heading off to meet Darth Maul. And with stars such as Alden Ehrenreich revealing that their contracts stipulated they be available for sequels, it seemed a dead-cert that we’d see more of the characters in the near future. But after Solo failed to recover its costs at the global box office, things now seem a little more uncertain. Kasdan, sharing extensive notes on the film on Twitter in lieu of a full commentary, admitted it’s unlikely we’ll see any further adventures with young Han any time soon – but it’s not off the table completely if the budget is shrunk. “Will there ever be a sequel ‘cause it seems like you guys were setting one up? To be honest, I think the challenge has much more to do with the foreign box office than the US,” he wrote. “Personally, I think there are great Star Wars movies to be made that don’t need to cost quite so much. “Hopefully that will be the trend in the years to come, and maybe, just maybe, that trend will allow us, one way or another, to tell more stories with Alden, Joonas, Emila [sic] and Donald. He added: “Given the way Hollywood, and the culture at large, seem to run from anything labelled a disappointment, the odds seem like they’re against it happening anytime soon. For now, the next Star Wars movie in cinemas is the next and final instalment in the main episodic saga. Episode 9, which doesn’t have its official title just yet, is currently in production and will be released in late 2019. After that, Rian Johnson will get going on a brand new trilogy, said to be separate from the Skywalker series altogether. Other rumoured spin-offs, such as those for Obi-Wan Kenobi and Boba Fett, seem to have gone quiet in recent months – though it’s worth noting that they were never officially announced. In Kasdan’s extensive notes, he also wrote that he had mixed feelings about the death of one particular character in Solo. Solo: A Star Wars Story is out on DVD and Blu-ray on September 24.